System administrators are in high demand. A recent search for “system administrator” on SimplyHired revealed more than 42,000 job postings. According to SimplyHired, average salary for system administrators is over $75,000, with highs of almost $119,000. The Bureau of Labor Statistics puts the average salary slightly higher, at $81,100. 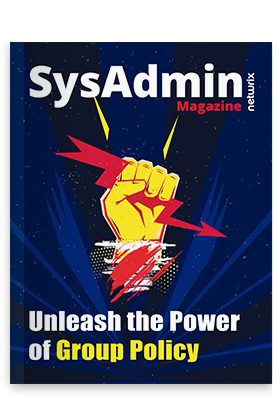 With a steady growth of six percent anticipated through 2026, it’s clear that system administration is here to stay. If you’re an aspiring system administrator wondering what certification path to take, this article will come in handy. Below, you’ll find a list of our top certification picks to help you break into the field of system administration or grow your career. The Microsoft Certified Solutions Expert (MCSE) is the pinnacle Microsoft certification. MCSE credentials are available across five solution tracks: productivity, mobility, data management and analytics, business applications, and cloud platform and infrastructure. The MCSE Cloud Platform and Infrastructure credential is ideal for system administrators and security analysts. It validates a candidate’s skill and technical expertise in data centers, networking, storage, systems management and virtualization. This credential builds on the skills attained at the Microsoft Certified Solutions Associate (MCSA) level, a Microsoft certification designed for system administrators and helpdesk support professionals. Therefore, candidates must earn an MCSA certification for Windows Server 2012, Windows Server 2016, Cloud Platform, or Linux on Azure before attempting the MCSE Cloud Platform and Infrastructure exam. Training is available but not required. Candidates must pass a single 2-hour exam with 45–55 multiple-choice questions. There are 10 approved exams to choose from, as listed on the MCSE Cloud Platform and Infrastructure web page. MCSE exams are $165. Microsoft makes preparing for their exams easy. On each exam’s web page, you’ll find a one-stop-shopping section called “preparation options.” Here, you’ll find links to online training, study groups, instructor-led courses, videos, practice exams, books and study guides, as well as a long list of other exam-related resources. You can also attend a boot camp for $5,800. If you’re a Linux IT professional, then it’s worth adding the Red Hat Certified System Administrator (RHCSA) and the Red Hat Certified Engineer (RHCE) certifications to your portfolio. The RHCSA is a lower-level credential that validates a candidate’s core Linux system-administration skills — being able to install, configure, deploy and maintain Linux systems; manage Linux firewalls; authenticate users and user groups; manage files and file systems; and configure and managing storage partitions. The RHCE requires advanced Linux system administration skills. Candidates must be well-versed in system logging management and configuration; the Internet Small Computer System Interface (iSCSI) initiator; translation of network addresses along with packet filtering and static routes; and network services (HTTP/HTTPS, SMB, SMTP, SSH, FTP, and so forth). They must also be able to automate routine maintenance tasks using shell scripting, configure runtime parameters for kernel, and produce utilization reports. Both the RHCSA and RHCE credentials meet U.S. Department of Defense (DoD) Directive 8570. While there are no formal prerequisites required to earn the RHCSA, training is encouraged. Windows system administrators should consider taking the both the Red Hat System Administrator I (RH124) and II (RH134) training courses, while Linux or UNIX administrators should attend the RHCSA Rapid Track Course (RH199). Linux training does not come cheap, and it also requires a hefty time commitment. RHCSA training courses are 4–5 days in length, and the System Administrator courses cost $3,400 each and the Rapid Track Course is $3,700. Windows system administrators — Windows system administrators who are relatively new to Linux should take the Red Hat System Administration I (RH124) and II (RH135) courses, if they haven’t already, as well as the level III (RH254) course. Linux or UNIX system administrators — Experienced Linux or UNIX system administrators should take the RHCSA Rapid Track Course (RH199), if they haven’t already, as well as the Red Hat System Administration III (RH254) course. RHCE recertification — Candidates wishing to recertify on RHCE should take the RHCE certification lab course (EX300, $3,700, 4 days). To earn the RHCSA, candidates must pass a single performance-based exam (EX200) that covers several different deployment scenarios and environments. Candidates are allowed 2.5 hours to complete the exam. RHCE candidates must pass the Red Hat Certified Engineer exam (EX300). This 3.5-hour, performance-based exam can be based on any release of Red Hat Enterprise Linux. The RHCSA and RHCE exams cost $400 each. Red Hat provides training for experienced Linux and UNIX professionals as well as Windows system administrators who are just entering the realm of Linux and UNIX. The training comes in a variety of formats, including traditional classroom, virtual, online, remote and onsite. You can also purchase a Red Hat Learning Subscription that provides access to online training, webinars, knowledge checks, video classrooms, cloud-based labs, course transcripts, supplemental materials, seminars, early access to courses and labs, and more. Candidates can select either a Basic ($5,500 annually) or Standard ($7,000 annually) subscription. You’ll also find numerous exam prep guides available on Amazon. LPIC-1: Linux Administrator —The LPIC-1 credential is the first step in the LPI administrator career This credential validates your ability to perform lower-level maintenance tasks (backup and restore, reboot, shutdown); understand basic Linux, GNU and UNIX commands; install Linux workstations; manage access permissions; and understand basic system architecture as it relates to Linux. LPIC-2: Linux Engineer — The LPIC-2 certification targets Linux professionals who are administering mixed networks for small and mid-sized organizations. Successful candidates perform advanced administration tasks, manage block storage, manage firewalls and VPNs, maintain system security and authentication, configure network services, supervise team members, and evaluate options and provide recommendations to management. All LPIC credentials are valid for five years. LPI professional credentials are progressive, with each credential taking the lower-level certification as a prereq. There are no prereqs for the LPIC-1 certification. Two exams each are required to earn the LPIC-1 or LPIC-2 credentials. The LPIC-3 specializations require one exam each. Each exam is $200, includes 60 multiple-choice questions and must be completed in 90 minutes. LPIC-3 300 Mixed Environments — Candidates need to pass Exam 300-100, which covers configuration and management of OpenLDAP and Samba, as well as working with Linux and Windows clients. LPIC-3 303 Security — Candidates need to pass Exam 303-200 which covers cryptography and access control, along with application, operations and network security. LPIC-3 304 Virtualization and High Availability — Candidates must pass exam 304-200, which targets virtualization, high availability cluster management, and high availability cluster storage to earn the credential. At the LPI Marketplace, you’ll find numerous training options, including LiveLessons (learning videos), certification guides, eLearning courses, and access to labs. Most materials cost less than $300. You’ll also find study guides and training resources on Amazon. Credential holders are well-skilled in server-related concepts and technologies including server architecture and administration, storage, virtualization, security, troubleshooting, networking and disaster recovery techniques. You’ll find CompTIA Server+ credential holders working for companies such as Intel, Lenovo, Microsoft, Xerox, HP and Dell, in roles such as server or storage administrator, server support technician, or IT/service technician. Because this is a vendor-neutral credential, it can be used as a stepping stone to vendor-specific credentials. The CompTIA Server+ certification does not need to be renewed. Candidates must have earned the foundation level CompTIA A+ credential, and18–24 months of IT experience is recommended. A single exam (SK0-004) is required to earn the credential. Priced at $302, the exam consists of 100 multiple-choice questions that candidates have up to 90 minutes to complete. The exam targets mastery of the following concepts: virtualization, storage, security and troubleshooting. CompTIA provides candidates with numerous learning opportunities, including ebooks and formal classroom training. In addition, candidates can purchase one of CompTIA’s learning bundles: The Deluxe version ($389) consists of an exam voucher, a retake voucher and access to CompTIA’s interactive eLearning tool, CertMaster; the Premier bundle includes everything in the Deluxe bundle plus the Official CompTIA Study Guide for Server+ in eBook format. You’ll also find a number of exam prep guides on Amazon. It’s hard to think “virtualization” and not think VMware. Since its beginnings in 1998, VMware has grown into a globally recognized leader in virtualization and data center transformation. VMware offers two VMware Certified Professional (VCP) Data Center Virtualization (DCV) credentials, one for vSphere 6 (VCP6–DCV) and a one (VCP6.5-DCV) for vSphere 6.5. The VCP-DCV credential validates a candidate’s skill and expertise implementing, managing and troubleshooting vSphere infrastructures, as well as their ability to follow and recommend best practices. The VCP6-DCV is VMware’s most popular certification, with more than 100,000 certified professionals worldwide. Due to the popularity of VMware, it’s anticipated that the VCP6.5-DCV will be equally sought after as companies migrate to the newer version of vSphere. This article focuses on the requirements for VCP6.5-DCV, since it’s based on the newest vSphere version. Requirements to earn the VCP6.5-DCV depend on a candidate’s experience and certifications. Before attempting the exam, all candidates should gain practical experience using vSphere 6.5. No VCP certification or expired certification — Candidates must attend an approved training course plus pass two required examinations. Candidates can expect to pay around $4,250 for an on-demand training course. Active VCP5-DCV or VCP6-DCV — While highly recommended, formal training is not required. Candidates need only pass a single exam to earn the credential. Active VCP in another track — Candidates need to pass a single exam. Training is recommended but not required. No VCP certification or expired certification — Candidates must pass one of the foundation-level exams (vSphere 6.5 or vSphere 6) plus pass the VCP6.5-DCV exam. The foundation exam costs $125 and the VCP6.5-DCV exam costs $250, for a total of $375. Each exam has 70 questions and is 105 minutes long. Active VCP5-DCV or VCP6-DCV — Candidates must pass either the VCP6.5-DCV or VCP6.5-DCV Delta exam to earn the designation. The fee for each exam is $250. Active VCP in another track — Candidates must pass the VCP6.5-DCV exam ($250). VMware maintains a comprehensive network of learning resources. At VMware Education, you’ll find links to both formal and informal training opportunities, the VMware Learning Zone, and the VMware Library. In addition to fee-based options, you will also find a number of free videos, seminars, labs, simulations and other resources. Billed by Forbes as the world’s most innovative company, ServiceNow maintains a full complement of certifications to support its robust product portfolio. ServiceNow offers credentials across common job roles (implementer, developer and administrator) and by ServiceNow product area. ServiceNow administrators begin their journey by obtaining the ServiceNow Certified System Administrator credential. This certification validates a candidate’s knowledge of database schema, user interfaces, features and functionality of common ServiceNow applications, and application development and scripting. Certified System Administrator credential holders are able to implement and configure ServiceNow systems and perform system maintenance. Once a candidate earns the Certified System Administrator credential, they can specialize in a particular product line. From the ServiceNow Learning Paths web page, you can obtain complete details for specialized ServiceNow administrator training. While training isn’t required, the exam blueprint maps directly to the ServiceNow Fundamentals training course. This course is three days in length and costs $2,095. In addition to the recommended training, candidates must have at least six months of experience with ServiceNow, IT helpdesk principles, and database and system management. The 90-minute, multiple-choice exam is computer-based. Candidates must accept an end user agreement and have a standalone webcam for online exam proctoring. The exam fee is $150. Service now offers a number of learning opportunities including the exam blueprint, free eLearning for foundational courses, and traditional instructor-led courses (prices vary but candidates can expect to pay from $1,500 to $8,000). At the Resource Center, candidates will find white papers, analyst reports, infographics, ebooks and more. Those who need access to study materials on demand should consider a subscription to the ServiceNow Learning Library; Learning Library materials include tutorials and videos, and the subscription fee is $1,000 per user per year. *VCP6.5-DCV figures are based on requirements for a candidate with no VCP experience. These top 6 certifications are a good place to start your career or advance to the next level. By becoming certified, you’ll show managers that you have the skills to perform your tasks at a higher level.